Empower Groups are simply groups of people who want to make friends and grow in Jesus. When we share life through community with others, we are experiencing God's design for us. So come join a group, create meaningful relationships, and discover the community that makes us a church and not just a building. We have groups of all types and life stages. If you would like to see what group fits with your interests and schedule, please check out the list below. To connect with a leader or for additional information, email the church office at office@marketstreetchurch.org. If you're looking for a community of people to have fun with and explore Christ with, then come join us! 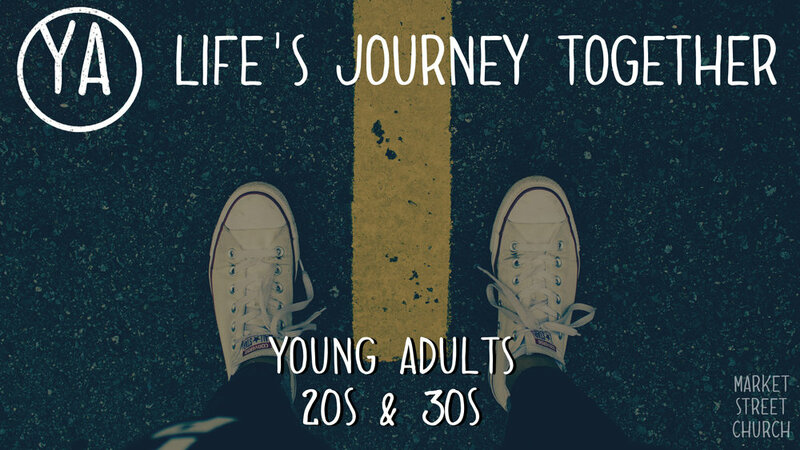 It doesn't matter if you're married, single, just graduated or just turned the corner into your 30s, we want to do life's journey together with you! Are you new to the faith, searching, or longing for something you dismissed years ago? Then this is your Starting Point. This 5 week small group discussion is designed as an open dialogue about God; a place where you can search for answers and ask tough questions. Simply RSVP to the church office to join our next session. If you've ever wondered what's next for you here at Market Street Church, then this class is for you. In this five week course you'll discover the church as God designed it and your role within it. You'll also grow, meet people, and be encouraged as you become part of our church family. To join our next session, simply RSVP to the church office. In Genesis 2:18, God declared it was not good for man to be alone, so he created woman and called her "ezer kenegdo". Translated as "help meet", woman is often referred to as a helper but there is so much more to her and we would love to show you why. Join us for this journey of faith, friends, and fellowship as we explore God's amazing design for women.